Nisamir from The Blog nominated me for a Liebster Award, so this will be a special post fulfilling the requirements of this challenge. I lived in Botswana for 8 years. I went to University in New Orleans. I met my husband on Valentine’s Day during my freshman year at university. I secretly love the Bubble Guppies more than my son. “It’s time for lunch” is my favorite song! I used to work as a legal assistant for a personal injury law firm. I stay up way too late. Motherhood has turned me into an insomniac. I know I need to change my habits but the night owl life has a hold on me. I have blogs in my drafts folder I am too chicken to publish because I don’t want people to judge me for my opinions. My son and husband have my whole heart. What do you think about home schooling? I think homeschooling can be great. It is a lot of work and you need to be very organized and disciplined. I have been thinking about possibly homeschooling my son. The possibilities seem endless, and a part of me feels very drawn to this. If you could only choose one meal/dish to be serve on your wedding day, what would it be? I’m already married so this ship has sailed for me but if I were to plan my wedding again I would probably say pasta carbonara. I don’t know why, I think I’m just hungry right now. How do you see the world we are living in? Sometimes it looks scary, but there is a lot of good in it, too. What are your tips to a beautiful and radiant skin? Drinking water, getting enough sleep, exfoliation, moisturizer and sunscreen. If you were given 10 million dollars (yes, USD), how would you spend it? That is a lot of money! I would pay off my student loans, pay off my mortgage, help out my family, donate to charity, buy a new house and save the rest. Where would you build up your dream home and why? I haven’t yet decided where I would like to live, but if I am $10 million richer I wouldn’t mind living off the money for a few years and living back home near my parents. What super powers would you like to have? Teleportation. Which Disney princess would you like to be and Why? Elsa from Frozen. For one thing, she has powers, but also, she pointed out to Anna that you can’t marry somebody you just met. Such common sense is a new thing for a Disney princess and I want to be part of that trend. If you only have four months to live, what would you do? Gosh, dying is my biggest trigger so I don’t like this question, haha. But ok, I think I would ask for lots of Xanax :p and then I would use that money I saved up to bring all the people I love to me and spend every single day with them. Out of many country in the world, where would you like to live in and why? Part of me would stay here in the States just for the proximity to loved ones but I think I’d like to live in England. I like the rain. I will nominate people once I figure out who. Thank you for tagging me, Nisamir! I am participating in the Zero to Hero challenge here on WordPress and in interacting with the community of bloggers that’s participating in this class I was inspired to write this post by Lhu Wen Kai’s post titled 5 Types of People You Should Avoid to be Happy , and Ditch the Bun’s Finding Myself in the Red Centre. I am a firm believer in forgiveness, second chances, and trying to see the best in people. I do not discard people lightly, but I strongly believe that sometimes it is best to part ways with a person who has become toxic in your life. We often talk about people and things making us happy, but aren’t we the ones really at the helm of that happiness? I choose to make myself happy by surrounding myself with people who bring out the best in me. I do not charge my husband with that responsibility. He does, in more ways than I can count, contribute to my happiness but I cannot lay responsibility for it at his feet. If I am unhappy about something I always bring it up. I ensure that we communicate by participating in that communication, by initiating that conversation. Self-care means that I am looking out for myself. I cannot expect people to know how I feel if I do not tell them. I am very fortunate to be a part of a small group of reading enthusiasts online. Our conversations range from what we are currently reading, to what we are making for dinner. We are all very different, we have different opinions and points of view. I have learned a lot from these women and I feel that having them in my life makes my life better. Sometimes they challenge my beliefs, reinforce them, and sometimes they even change my thoughts about a given thing. These are the type of people who I love to have in my life. As much as I love my online life there are times I need to step away from it. Social media is a wonderful thing, until it’s not. When I start feeling crabby or irritable at just about every post that comes through my feed I ask myself, is it me? Or is it them? It’s time for a social cleanse! A juice cleanse makes us reconsider what we put into our bodies, well, a social cleanse makes us reconsider what we consume with our eyes and minds. Limits. Instead of dropping into your Twitter or Facebook feed constantly, set a specific time in the day to check your alerts and respond to anything important. Go whole hog and disconnect for an entire day, or two, or three. Sometimes I do this by simply browsing rather than participating, but other times I really do my best to stay offline completely. Limit your interaction with toxic people. These negative people range in variety and may include: the always negative, the woe is me, the look at me, look at me (also known as an attention seeker), the hates everything, and the share everything. Sometimes it’s enough to mute them from your feed. If you have a cluttered e-mail inbox take some time to go through it. Delete anything you don’t need, create folders for what you do. I find that cleaning up my inbox makes me feel productive. Unplug. Take a breather, regroup. I like to sit with a notebook and write down ideas for my blog, or jot down a to do list for the week. Taking time for yourself is important. We all need a break from all the interaction we do. Make a decision. If a person drains you, makes you feel bad, or in any way affects you negatively, choose to either address it or let them go. Have you ever done a social cleanse? What things work for you? If you’re like me, you enjoy spicing things up in the kitchen. I often get inspiration from cooking shows. I like to adapt recipes based on my tastes and what I have available in the kitchen. Recently, I saw Trisha Yearwood make some bacon-wrapped asparagus. It looked delicious and since I hadn’t had those in a while I decided to make them. Preheat your over to 400 degrees Fahrenheit. Once you’ve washed your hands, and your veggies, you’re going to want to trim the asparagus. The stalks get tough and woody as they reach the bottom. What I do is I grab one spear and bend it until it snaps. I then cut the rest to match that length. Now you’re ready to wrap the asparagus with the bacon. I wrapped 3-4 stalks with one strip of bacon. Secure with a toothpick and place on a cookie sheet. I lined mine with a silpat but you can use foil and some Pam instead. Once you have all of your bundles you’re going to want to spoon some sauce over them. This is optional. If you’d prefer you can drizzle a little olive oil, salt, and pepper instead. For the sauce: mix a bit of olive oil and balsamic vinegar. Add sugar and pepper to taste. I find balsamic vinegar to be a little sweet already so I only use a spoonful or so of sugar. Mix well and spoon over the bundles. Bake for 25 minutes. The asparagus will be wilted and the bacon crispy. You can serve this as a side dish, or as a main dish. I think it would be delicious with couscous, brown rice, or even orzo along with a small salad. It has officially been one year since I started blogging. I originally started my blog on Tumblr but as I learned more about blogging I decided to buy my domain and move to WordPress. Sometimes, when I tell people that I have a blog they make a comment along the lines of, you must have all this time on your hands since you stay home with your son. To them, I have nothing better to do and so this blog is a waste of time. An indulgence. I won’t lie, that stings a little and the vain part of me bristles at the idea that some people view me as a sort of layabout. In any case, regardless of what others may make of my public sharing of my life and thoughts, I feel confident that through blogging I am gaining valuable, marketable skills that will be useful in my future endeavors. I have learned how to set up a blog, where to find free, royalty free images, how to edit my images using free software, how to customize my blog, and I’m even learning a bit of html. Not bad, for a little hobby that I indulge in late at night when the men in my life are sound asleep. Looking back through my posts is one of my favorite things to do. Reading how I felt, what we did, and what I thought we would do is both interesting and amusing. It’s been both a challenge and a great joy to write my blog. As a thank you I am giving away a $20 Amazon gift card to one lucky reader! * All you have to do is leave a comment below. You can also use the contact me form. I will pick a random winner on May 22nd and I will announce the winner on a blog post on May 23rd. *Must be 18 years or older to enter. Void where prohibited. Open to residents of the United States. Who has time to be perfect? I thought I would share some of the less glamorous things that go on around here. We aren’t all balanced meals and green juice. I try to incorporate lots of the good stuff into our diet, and I do my best to limit the amount of television that Diego watches. I don’t really schedule our days, I like for things to happen organically. One weekend we walked to the canal and fed the ducks, other days we just walk around looking at the different front lawns. Exercise is important and I try to ensure that Diego has the chance to be active and burn all of that energy but some weeks we are more sedentary than active. Some days I make mac and cheese out of the box, chicken nuggets out of the freezer, and we have ice-cream for dessert. Some days I am so tired that I can’t hold off until nap time, so I put Diego in his crib and turn on the Bubble Guppies on the desktop computer in his room. I sleep for about an hour after which guilt compels me to get up and shut off the toons. We often stay in our pjs until late afternoon. The house is in a state of disarray a lot of the time. Our house is clean but it does get messy. Wooden blocks, stacking cups, and bouncy balls don’t always get put away. 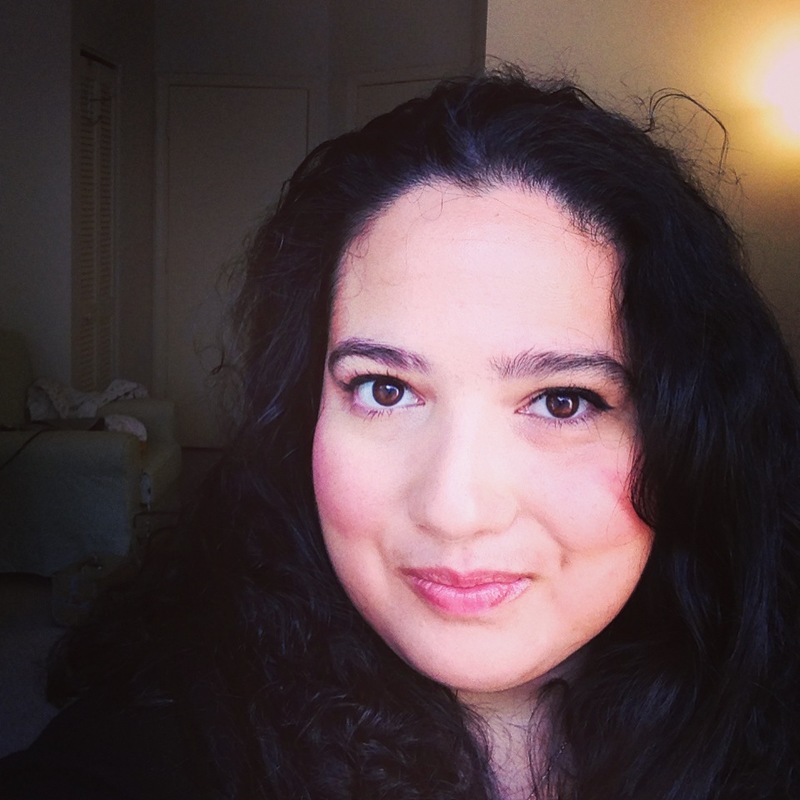 Blogging can have us seeing our lives through rose colored lenses. We put out the best part of ourselves, our best days, our best face. It’s not reality. We all have our lazy days where we barely lift a finger, eat some unhealthy fast food, and veg out in front of the couch. There are things I don’t skimp on, hygiene is one of them. Daily baths, tooth brushing, and hand washing are things that never get skipped. But the other stuff? Meh, it’s nothing that won’t keep for another day. Right now I am trying to move towards clean eating. I am more cautious about what I make available to us and what brands we use. One of the hardest things sometimes is coming up with different lunches for Diego and I during the week. I am not aiming for a perfectly balanced diet, but I am making some improvements here and there. I think that’s the stuff of life, getting better, learning new things, making some changes, striving towards goals we set for ourselves. Now more than ever it’s very easy to compare our lives, our parenting styles, and our beliefs to others’. We have access to people’s lives like never before, and some look pretty perfect. I know I don’t, and I’m perfectly fine with that. Posted in Uncategorized and tagged family, faults, perfect, real life on April 22, 2014 by abbydlr. Recently, I was talking to a friend who mentioned receiving a request on social media that she did not want to accept but felt she was being rude if she didn’t. I immediately told her that she’s entitled to her privacy and that self-care includes the word no and is never rude. Ever. I remember growing up being taught to always be polite, especially to adults. How often does this reverence for adults and politeness in general lands us in situations that we are not comfortable with? As a woman I know that men are often lechers, I experienced no shortage of this growing up. Children are especially vulnerable to the power dynamics that exist between younger persons and older ones. How can we protect our children? I think that we empower them when we teach them to use the word no. Teach them to say it often and loudly. Teach them that we don’t owe people our discomfort in order to avoid theirs. Children need to know that their parent’s stand behind them and that they won’t be reprimanded for standing up for themselves. I mentioned earlier that I was taught to be polite, being rude was not tolerated by my parents, but saying no was. I remember when I was in the sixth grade waiting for my mom to pick me up from school and she was unusually late. Normally, she was waiting for us, we never waited for her. I knew we had plans to go to lunch at a friend’s house so it wasn’t completely weird for my friend’s dad to approach me and tell me that he had been instructed to pick my brother and I up from school. Even though I knew this man, knew I was meant to go to his house that afternoon I declined. I told him that if my mom had made alternate arrangements for my transportation after school she would always tell me beforehand. I refused to get into his car. Finally, we went to the school office where I called my mom and she apologized for worrying me, I was indeed supposed to ride with my friend and her dad. All of the adults were very impressed with me for sticking to my guns. Even though they were giving me credit, the real credit should go to my parents who had me feeling so sure of myself and them that I went head to head with an adult and won. I often hear a lot of negative talk around using the word no with toddlers and kids. Redirect, use positive words, I’m sure we’ve all see this parenting philosophy. In many cases it makes sense to tell a child what you’d rather they do than yelling “No!”. 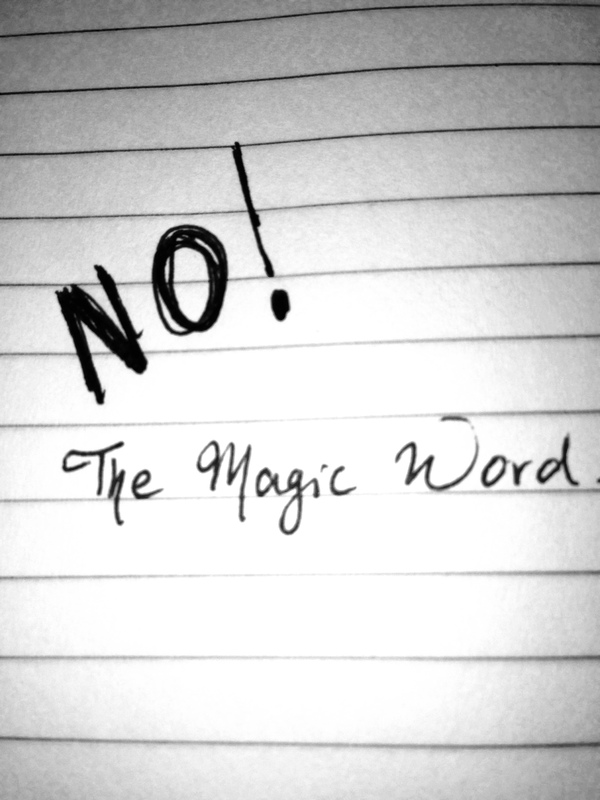 I think that overusing the word no causes it to lose its effectiveness. Also, one of the reasons toddlers say no so much is because they hear it so often. Bottom line: teaching our kids to say no and use it appropriately is important. It’s also important for them to get told no on occasion. Life doesn’t give you what you want all the time. How do you feel about saying no? Posted in Uncategorized and tagged children, kids, no, safety, saying no, self-care, women on April 19, 2014 by abbydlr. Parents, do you have this number? Everybody should have this programmed in their cell phone. 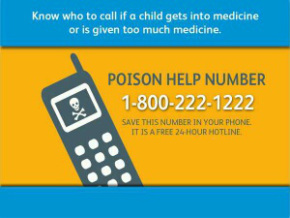 More than 2 million poisonings are reported each year to the 57 poison control centers across the country. More than 90 percent of these poisonings occur in the home. The majority of non-fatal poisonings occur in children younger than six years old. And, poisonings are one of the leading causes of death among adults. Now that Diego can eat pretty much anything I really enjoy mealtime with him. It’s fun to see the strange and often funny ways that he picks out which morsels to eat and how he puts them in his mouth. On days when my husband works Diego and I will have breakfast on our own since Diego wakes up long after my husband leaves the house. Lunch will usually consist of leftovers. We often eat them picnic-style in the living room. I throw down a blanket on the floor and we sit together. Diego now loves to share his food and he feeds me often, sometimes it’s a discarded piece that has been on the floor. He also likes to steal food from my plate. When you eat your meals with a toddler you learn that this open up a whole new world. They are a learning opportunity. 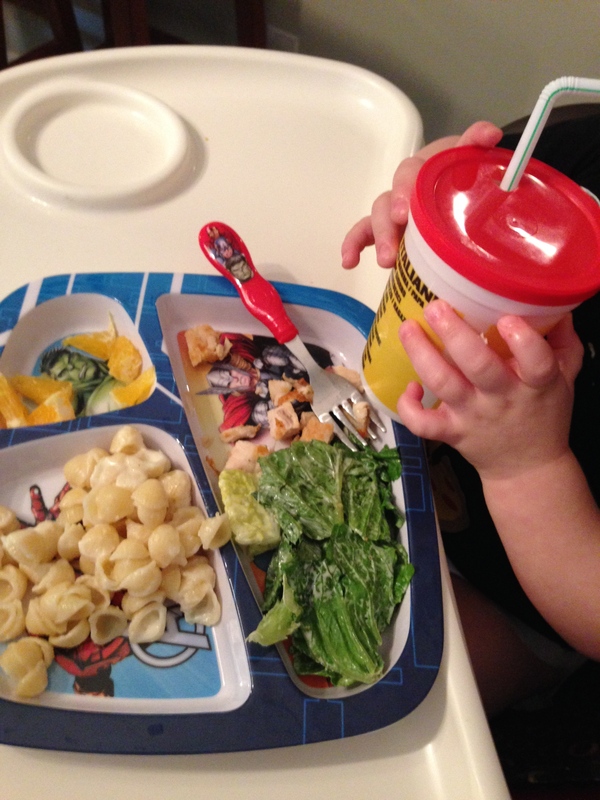 Everything from table manners to utensil proficiency is learned at mealtime. Language development is also positively reinforced at mealtime. I look forward when Diego will be able to participate in our dinner conversations, but for now we engage him in his babbling by identifying what he’s eating, encouraging him to use his fork, and redirecting him when he decides that when he’s done with his cup he’s going to toss it off his highchair. I also believe that healthy eating habits start at home, right at our dinner table. I’ve been lucky that so far Diego is not a picky eater. He will try just about anything and even though he might not like it at first he usually comes around. I’ve noticed that he has some preferences when it comes to textures. For example he will eat a pureed strawberry but it will take a little coaxing to eat a piece of one. My philosophy is to encourage but not force him to try or eat anything. I also don’t believe in making him clear his plate. This sets up a negative eating habit where he can end up eating past satiation. Most days he eats everything, others he picks at stuff and hardly eats anything. As long as he’s healthy and growing I’m not going to worry about it. Family is important. It creates confident kids. Language development is aided by this interaction at mealtime. Manners are taught through practice and it’s never too early to start. Food is a learning experience. New textures and flavors expand a child’s horizons. Food is a basic need that must be met everyday. I think that experiencing new things at mealtime can translate into a child that looks forward to new experiences. Being adventurous isn’t limited to things you do, or places you go. Food can be a teaching tool in so many scenarios. Years from now when he’s in school, learning about new cultures I can use food to bring that culture to him. How people eat and what they eat around the world is fascinating. Similarly, baking is a great application of math and science. As soon as Diego is old enough I plan to bring him into the kitchen. Basic cooking skills as well as food safety are things I believe everybody should be competent in. Preparing food for our family should be something that Diego shares in. I think it creates a sense of community, responsibility and affection. I read somewhere once that work is love made visible, so is cooking and shared mealtimes are part of that love. Want more information about family meals, as well as recipe ideas and other resources? A day after writing this post (I pre-write and schedule them) I came across this pledge and site dedicated to family meals. Disconnect to reconnect is a campaign that seeks to encourage families to pledge one day a week where they disconnect from social media and enjoy a meal together. Check it out! Posted in Uncategorized and tagged family, kids, mealtime on April 11, 2014 by abbydlr.